When asked if she would want Salman Khan to launch her son's career, Bhagyashree said: "He launched Sooraj Pancholi. Let's leave it at that." Rumour mills have been abuzz for quite sometime that Salman Khan would be launching Bhagyashree’s son, Abhimanyu in Bollywood. Bhagyashree, however, denied rerports. 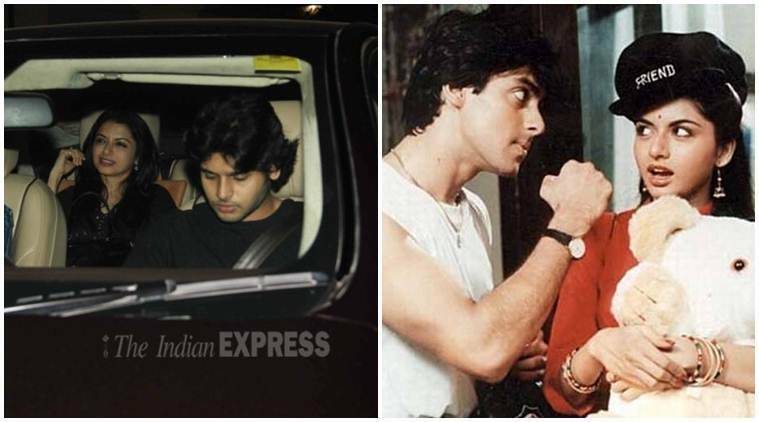 Rumour mills have been abuzz for quite sometime that Bollywood superstar Salman Khan would be launching his ‘Maine Pyar Kiya’ co-star Bhagyashree’s son, Abhimanyu in Bollywood.